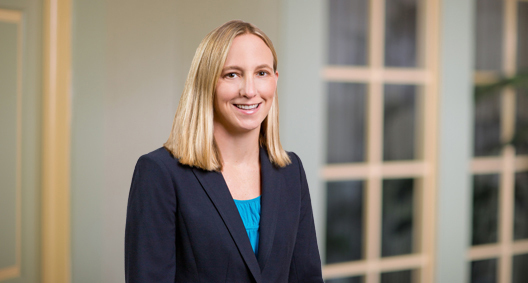 Carey Busen focuses her practice on complex commercial litigation matters in federal and state courts throughout the country. Carey has litigated a variety of matters, including large-scale trade secret, breach of contract, consumer protection, antitrust, and class action litigation. She has experience in all aspects of litigation, including drafting pleadings, motion practice, oral argument, expert discovery, trial, and appellate briefing, with significant experience in discovery. In particular, Carey focuses on addressing the burdens, costs and opportunities of electronic discovery in complex litigation. Carey is a regular contributor to BakerHostetler’s Discovery Advocate, providing informative commentary on the latest developments in electronic discovery. Represented a large apartment owner in consumer fraud matters brought by government and private entities. Represented hospitality companies in litigation actions arising out of data breaches, including securing a voluntary dismissal of a class action brought by issuing banks against one client. Represented tobacco companies in multi-year, multi-state arbitration over disputed payments under the Master Settlement Agreement. Represented a heavy-equipment manufacturer in multiple unrelated cases against claims of breach of contract and other state law claims. Represented a heavy-equipment manufacturer in copyright infringement lawsuit brought by a supplier of training materials. Represented a heavy-equipment manufacturer in trade secret lawsuit brought by a supplier of attachments for heavy construction equipment. Represented a heavy-equipment manufacturer in an antitrust lawsuit brought by a distributor of heavy construction equipment. Represented a heavy-equipment manufacturer in products liability and fraud lawsuit brought by a power company. Represented a certified class of dairy farmers located in 14 southeastern states against Dairy Farmers of America, Dean Foods and a number of other defendants in an action alleging violations of Sections 1 and 2 of the Sherman Act by unlawfully conspiring to eliminate competition for the marketing, sale, and purchase of raw milk in the southeastern United States. Litigation was settled for more than 70 percent of alleged damages. Represented a criminal appellant in state court. Drafted the appellate brief, argued in state appellate court and drafted a successful petition for writ of certiorari. Represented an asylum applicant from Burkina Faso; the applicant's asylum claim was granted. Filed successful due process complaint against public school system on behalf of middle school student with autism, securing private school placement.